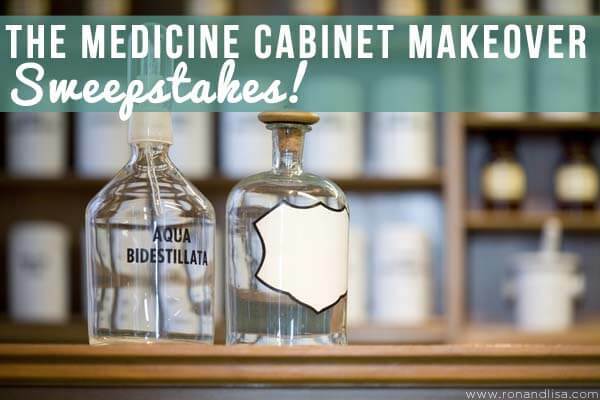 The Medicine Cabinet Makeover Sweepstakes! 1.) They carefully source the very best quality oils available on the market; organic + wildcrafted oils. 2.) They choose sustainably farmed whenever possible. Their proprietary blends are nuanced. 3.) They use very expensive and rare oils in many of their blends, such as jasmine, helichrysum, blue lotus, rose otto, etc. 4.) They’re a boutique business. 5.) They’re run entirely by women. Of the five women, four are personally affected by Lyme disease. 6.) They GIVE BACK to the community by regularly gifting items or donating money to charities, non-profits & fundraisers. 7.) They energetically imprint their blends for healing in several ways. They bring positivity into the space, mitigate EMF/RF exposure, and label bottles with words (healing, transcendence, peace, abundance & love). The latter is based on the work of Dr. Emoto. Dr. Emoto gained worldwide acclaim through his groundbreaking research and discovery, that water is deeply connected to our individual and collective consciousness. He is the author of the best-selling books Messages from Water, The Hidden Messages in Water, The True Power of Water. 8.) They recycle and choose products that support their business that ALSO support the environment. 9.) All of their blends are individually handcrafted in SMALL batches. 10.) They do NOT have a cheesy, pushy sales team. 11.) They are supported by doctors (MD, ND, DDS) and practitioners! For every action below that you complete, you receive a specific number of entries. Click each individual action to enter yourself. For actions you have done in the past (i.e. you are already a fan of Well Scent Apothecary or RonandLisaTheHealthyHomeDreamTeam on Facebook) just click directly on ‘I did this’. The eligibility of the winner will be verified by The Healthy Home Dream Team®. There is no mandatory entry. Each action will earn different numbers of entries into the contest. You may Tweet or share on Pinterest, Google+ or your Facebook wall for an entry once per day. All other actions will only be counted once. You must be 18 or older and reside in the United States or Canada address to win. Contest ends 6/14/14 at 12:01am ET. Click here for complete terms and conditions. I like the Go-Go – Detox + Sinus Support. I would LOVE the Over the moon endocrine support oil! I want the Balance since I worry about ticks. My favorite product is the Breathe – Allergy and Lung Support. Would love Over the Moon for sure! I have migraines and I would love to try the Headache RX. I would get smile, it sounds promising for my anxiety. I love essential oils – love the sandalwood oil. I like a lot of their products but the GO-GO – DETOX + SINUS SUPPORT interests me. My favorite product from Well Scent is the You Glow Girl – Radiant Serum. First time hearing of this company. Need & want to try their BALANCE – ANTIMICROBIAL/ LYME/ IMMUNE. The Make Everyday Earth Day Sweepstakes! The Live Bold. Live Well. Sweepstakes!